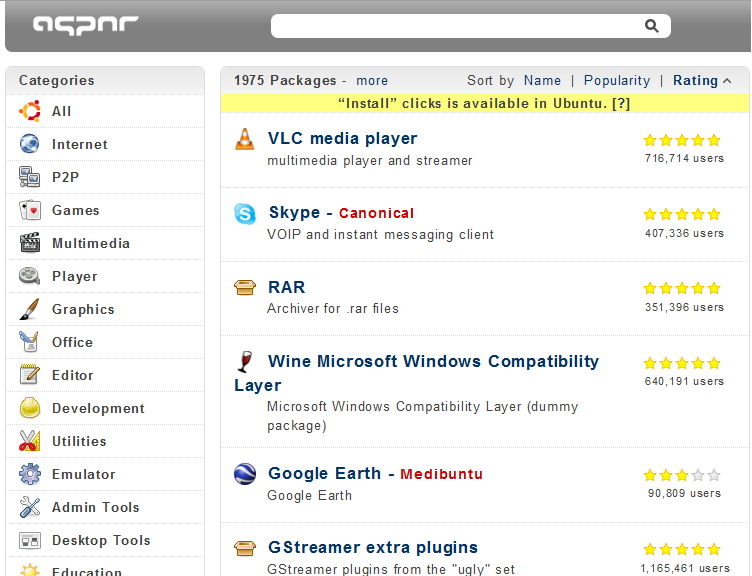 Appnr is a web-based package browser that install applications on Ubuntu. This is a web interface for APT system, and the package is downloaded and installed from Ubuntu/Third-party repositories. The AptURL protocol handler and a web browser support are required to install packages from Appnr. AptURL is a program that handles special URLs to installing package on APT-based Linux systems. Firefox on Ubuntu 7.10 or higher has AptURL installed by default. Please install the “apturl” package if using APT-based Linux system such as Ubuntu, Debian, Linux Mint, and gOS. Please add AptURL protocol support to a web browser. Type in “about:config” in the location bar. Type in “network.protocol-handler.app.apt” in the name of string,and type in “/usr/bin/apturl” in the value. Type in “network.protocol-handler.app.apt+http” in the name of string,and type in “/usr/bin/apturl” in the value. Are there security issues here ? Looks like a way in to me.